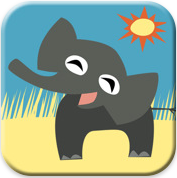 The fine folks at Night & Day Studios have released their third app in their Peekaboo line of apps for toddlers and preschoolers. 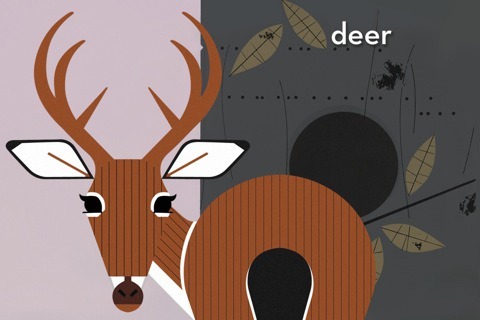 This time, their latest, Peekaboo Forest, features the stunning art of Charley Harper, which separates it from previous Peekaboo iterations, and sets it atop its own pedestal. Peekaboo Forest doesn’t just take the same equation that equaled success for Peekaboo Barn and Peekaboo Wild, but they evolved it all around. 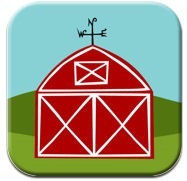 In the previous apps you had animals hiding behind barn doors or grass, making noise, then appearing once your child touched the screen. Now you have teases like a leaf moving or a tail wagging, before the animal makes its appearance, the its name being announced, making this interactive app, much more like an actual game of peekaboo. Not only that, but this version builds upon a foundation wrapped around the seasons, where after every 3-4 animals, you have a littler intermission with music and announcing the next season. Not only is this a way of teaching the seasons, but it helps break up the repetitive pattern of getting animals appear. Bug enjoys this part of the game, and dancing with the music just as much as she does seeing the animals, making this addition a great and welcomed one. However I do feel inclined to point out, the pace and feel of Peekaboo Forest is much more low key then with Peekaboo Barn and Peekaboo Wild. If I was to suggest to a parent, especially one younger then Bug who is at 21 months, I would suggest starting off with Peekaboo Barn or Wild before moving on to Peekaboo Forest. Bug loved is (as can be seen by the video below) but I can see where this one might not captivate younger kids like Peekaboo Barn did for her last year. 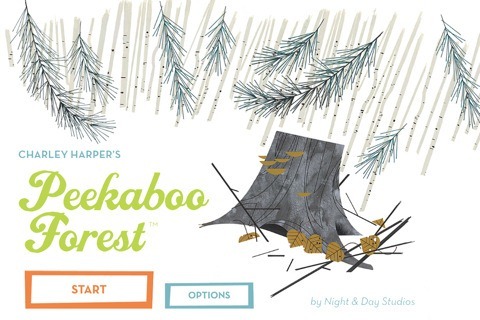 Peekaboo Forrest is a fun, education and interactive game that you’d expect from Night & Day Studios, and features the stunning vivid art of Charley Harper. 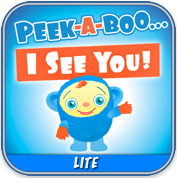 It is a unique take on the peekaboo app concept and is an universally entertaining app fr any preschooler. If younger then around 2, I’d suggest Peekaboo Barn or Peekaboo Wild prior then trying out Peekaboo Forest, but don’t question the greatness that this app offers! Its summer time! 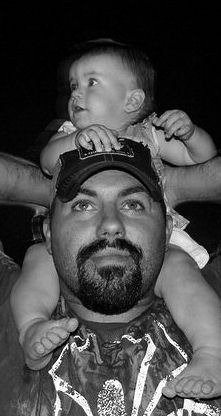 Vacations and family outings, nearly guaranteeing you’ll be on the road, or another space that you will cringe at because you know, sooner or later, your baby, your joy, will become a screaming, kicking bundle of rage. In the age of the iPhone baby, us as parents do have a tool to help easy the pain, one that is changing the landscape of the next generation in terms of tech savvy, hand/eye coordination, and methods of education. Below are a few of the personally tested and approved apps, all for the iPhone, that gets the job done for this Daddy and his iPhone baby. Don’t let the size of the name of this app scare you, in a very short time this has become a tried and true app that my daughter loves! 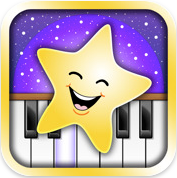 Its another one of those apps that you can just go to and let them loose with, letting them play the piano as the song plays, or mix and match. The app comes with four separate modes play; Play Sing Along, Learn The Song, Karaoke Mode, and Freestyle Mode. Each mode offers its own method to allow kids to learn this great classic song, giving this app the unique gift of having a renewing interest, even with kids that get bored quickly, allowing for separate methods of integration. 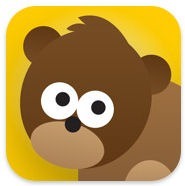 This one I accidently ran across as I was searching for Peekaboo Wild in the app store to get the link for above and had to try it, I mean it has the BabyFirstTV’s name on it! The app is a fun colorful little game where this character basically plays hide and seek with your child. Limited to only 2 tries, the lite version gives you a chance to see how your child responds, and after showing my little girl once or twice what she needed to do, she caught on and started loving it! The basis of the app is you have a character that comes out and says hi to your kid and then disappears! The next thing you know you see a hand waving behind one of 3 objects on the screen, and once your child touches the appropriate object, our little cute character pops out and yells “Peek-a-boo!” The only drawback I have with this compared to the others listed is its more of an app you let your child sit in your lap and play rather then just hand over, but that’s definitely not bad because its so much fun seeing how excited they get then they realize where the little character is hiding and they take their little finger to the screen. This is just one of many apps under the BabyFirstTV’s name, and I will be checking out the others shortly, hoping they all match up to the level of this app. 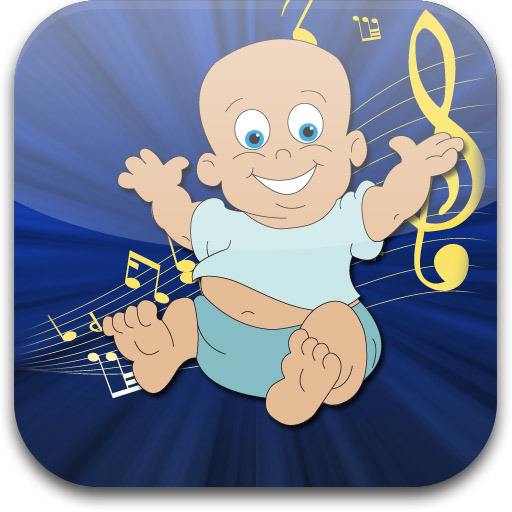 What makes Sound Touch Lite (and the paid version) unique is the vast amount of sounds it offers your child. Boasting 120 pictures and sounds for the free version, and 240 in the paid version, Sound Touch gives your child 5 separate categories of pictures and sounds to go through. 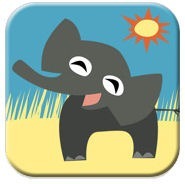 Farm Animals, Cars, Zoo Animals, Music Instruments and Household sounds are the options available and give a fresh approach to a category of flashcard games that is growing for the younger ages. Once your child figures out the concept of it, its another one of those you can just hand over to them and let them play and listen to their favorite sounds. This might be more of a favorite of mine right now then my girls, but I can’t help but put these on the list. Oceanhouse Media has been rolling out what are basically interactive audio e-books of everyone’s favorite Dr Seuss classic books. Already offering a handful of books including The Cat in the Hat, with more on the way, there is no doubt your favorite will show up if it hasn’t already, and what better way to introduce the iPhone Baby generation to the greatness that is Dr Seuss? Offering you the control of reading and turning page by page, or just sitting back and watching as the book reads itself, these are great updated adaptions of everyone’s favorite classics. I’ve realized that there is a growing demand for information for apps for what I’m calling iPhone Babies. I’m in the process of testing other apps with my baby girl (but Peekaboo Barn is still the take all home run). What I’m looking for are suggestions for apps. What does your baby enjoy, what gets their attention? Paid or free, doesn’t matter, I’m curious to see what other magic apps are out there for us tech savvy parents. Feel free to comment below on what apps you feel fall under the category of “Must Have”.